Real Madrid and Barcelona have lifted Big Ears in seven of the last ten years – a throwback to yesteryear when Iberian Peninsula sides Real Madrid and Benfica won all the first seven editions of the European Cup. With AC Milan (1963), then Helenio Herrera’s Inter Milan conquering Europe in the next two years; and Los Blancos recapturing the crown in 1966, no team outside Southern Europe was able to lord over the continent until Jock Stein’s Celtic did so in 1967- a whole eleven years after the tournament’s inception. 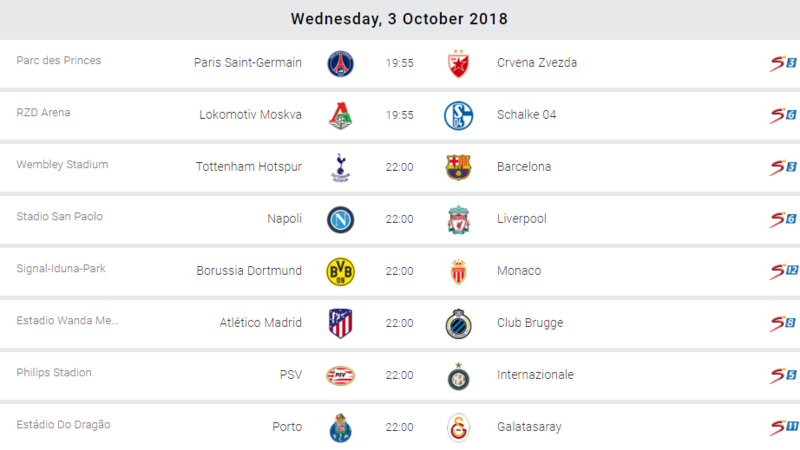 A collision of football philosophies provides the spectacular lead act when the Uefa Champions League resumes Tuesday night. Over the last decade, Latin flair has assumed ascendancy over the spirit driven British bull dog approach, puritan Dutch vision and German methodical modus operandi, leading to near total Spanish hegemony over Europe’s elite club competition. Commercialism/cosmopolitanism within the beautiful game implies soccer philosophies can no longer be defined by counties of origin. 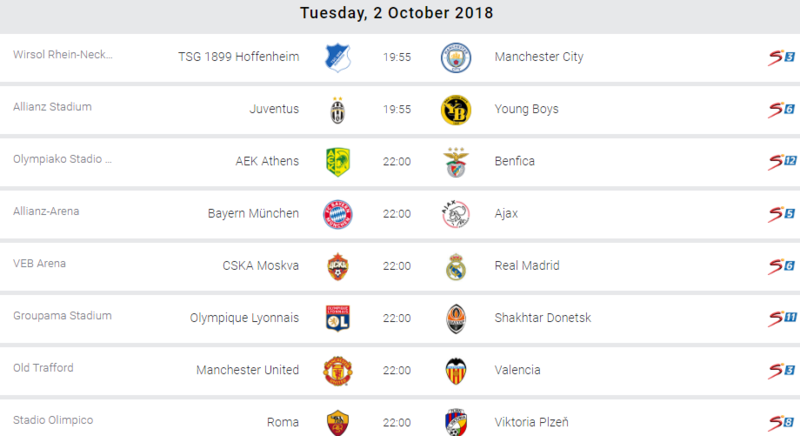 Today’s Group F clash between English champions Manchester City and German upstarts Hoffenheim best illustrates the evolution of European football. City coach Pep Guardiola created the Barcelona side that won three Champions League crowns playing a hitherto unseen tiki taka brand of football. But his City side plays a hybrid game, not dissimilar to the one espoused by Hoffenheim’s revolutionary young coach Julian Nagelsmann. Thus, when City face Hoffenheim tonight, it will be a monumental clash between present and future. Matter of fact, the full pitch pressing, high lines and gung-ho football that will be the name of the game in the sleepy German town, are likely to be replicated across Europe. The Group E clash between five time champions Bayern Munich and four time winners Ajax Amsterdam is one of the highlight fixtures. Following a loss of domestic form that has seen the Bavarians take only one out of six available Bundesliga points, new Bayern Munich boss Robert Kovac expects his Red Devils to return to winning ways against an Ajax side driven by the prolific form of Klaas Huntelaar, Frankie de Jong and Dusan Tadic. For Manchester City, along with Bayern Munich, Liverpool, Paris Saint Germain, Juventus and Atletico Madrid are the six other European clubs capable of challenging Barcelona and Real Madrid for this year’s crown. Reigning champions Real Madrid are in equally patch form going into Tuesday night’s Group G game at CSKA Moscow. The record 13-time champions looked short upfront in falling 0-3 to Seville and drawing 0-0 with Atletico Madrid in the derby. At Old Trafford, ears will be firmly on the ground to detect any sign of a player mutiny threatening to end Jose Mourinho’s Manchester United tenure. Nothing less than victory over Valencia in this Group H clash can assuage growing disquiet among United faithful who have seen their side fail to win any of their last three competitive fixtures. However, all the attention tomorrow is at the San Paolo Stadium in Naples where one of the Champions League’s most decorated managers – Carlo Ancelotti (a four time winner), goes head to head with Jurgen Klopp’s relentless five time winners Liverpool in a Group C collision of titans. After smelling the coffee by reaching last year’s final, the Kop are being tipped as ready to win their first trophy since Rafa Benitez guided his team of journeymen to success in Istanbul twelve years ago. Tottenham Hotspur’s dodgy record at Wembley Stadium comes under further scrutiny for the visit of the mighty Barcelona. Just like they did in upending Real Madrid last season, Spurs are expected to carry the ‘Rest of Europe’ flag with distinction in this Group B encounter.